QUETTA: Prime Minister Shahid Khaqan Abbasi on Wednesday said that the western route of China Pakistan Economic Corridor (CPEC) and Gwadar Port would soon turn Balochistan province into a trade and energy hub. Addressing a gathering after inaugurating the expansion and renovation of Quetta international airport, he said that the progress and development of Balochistan province were linked with the development of rest of the country. The premier said that peace in Balochistan had been restored and urged the provincial government and the provincial political leadership to work together for development and progress of the province. He said that the western corridor and the Gwadar seaport would provide an easy access to the Central Asian countries and China. Pakistan would provide easy access with immense opportunities of connectivity through a huge maze of motorways and highways, he added. Balochistan Governor Muhammad Khan Achakzai, Chief Minister Abdul Quddus Bizenjo and Minister for Information Technology and Telecommunications Anusha Rehman were also present during the ceremony. PM Abbasi urged the provincial and political leadership to set aside their political differences and work for the province and meet the challenges. He assured the federal government’s support but maintained that it was the provincial leadership which should take the lead for the progress and development of the province by concentrating on the availability of huge natural resources and connectivity potentials. The premier said that the work on Tajikistan, Afghanistan, Pakistan and India (TAPI) gas pipeline project was being fast-tracked whereas efforts were also being made for the rail, road and IT connectivity. About the expansion of the airport at a cost of about Rs2 billion, the prime minister said that it was the long-standing demand of the province, which was met by the PML-N government. He said that the international airport would cater to the requirements of the passengers with the provision of allied facilities. Even the Boeing 777 aircraft could land on the Quetta airport and it would serve in the development of Balochistan, he added. 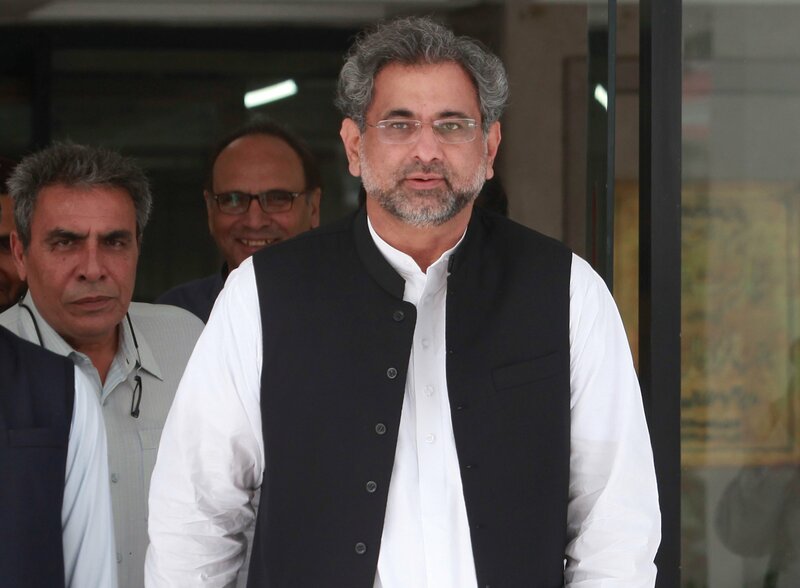 Prime Minister Abbasi also said that when the PML-N government took charge of the government, it had decided to expand and renovate all the airports of the country. He referred to the completion of Islamabad International Airport where the completion work had hit snags during the last 12 years. He noted that expansion work of Sialkot airport was carried out by the private sector from where now regular flights were being operated. The Karachi airport was also being modernised by the government, he added. He said that it was only the PML-N government which not only initiated different uplift projects throughout the country but also completed them. He expressed hope that the upcoming governments would carry forward those development projects. PM Abbasi also underlined the importance of continuity in the democratic system by saying that on July 25, general elections would be held in which the people would give their decision. “The country cannot achieve progress without democratic system,” he added, stressing that only the elected representative governments had the capacity to deliver.